Well, Living as we do in a country that conducts academic boycotts of Israeli scholars, maybe we should be wary about casting stones. The article about the controversy is very good. Why are Y&Y publishing the ISAF media releases of this event given the concerns noted? If you feel that you should publish, why don't you use some editorial control and directly reference the controversy? We are running the daily reports as I believe it's unfair to tarnish the other competitors and those who want to follow the event with the organisers decision. We have run the article about the controversy and it can always be found in related articles. Or putting pressure on those institutions, too. It will be interesting to see whether Israel have an open policy in 2017 about entries. I'd like to see all the podium sailors draped in an Israeli flag! No, we should be challenging them as well, who does this? Evidence? I may not be a very good sailor but I am a very good coms expert! Maybe I missed it but this story is no longer in the news listings on the home page?? 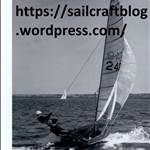 Any how using Twitter in a few minutes I have had the Sail World article retweeted to in excess of 100000 people. It obviously will not have any effect on the situation, but it makes me feel better! I mailed it to that Melanie Phillips, she's a pro israeli journo bound to use it to embarrass someone or other. If countries that banned sailors of certain nationalities were not permitted to hold world titles, the UK, Greece, Canada, Australia and New Zealand (among others) would not have been allowed to host any world titles from 1977 to 1991. Nor in fact could Malaysia have been allowed to hold a worlds through that period. The Malaysian attitude to Israel is revolting (they also aim institutionalised racism at Malaysian-born people of Chinese descent) but since the entire Commonwealth practised the same sort of exclusion for years (with much better cause I'd say) then we seem like hypocrites when we tell our kids to withdraw.